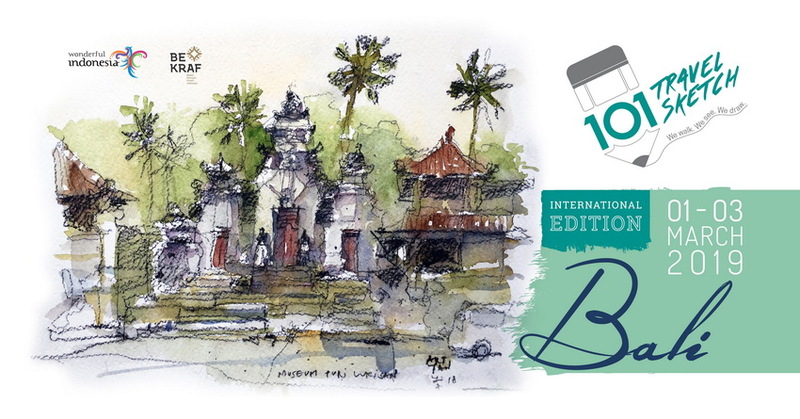 The 1O1 Travel Sketch Bali International Edition’s program is designed to accommodate any age and skill level. Various workshops and inspiring locations is expected to lead participants to a path of many creative possibilities, whether they are a professional artist, inspiring artist or an art enthusiast. The “Sketching for Kids” program is specifically crafted for children to learn how to combine their imagination and the surrounding legends into their drawing. Participating Sketchers are welcome to stay at PHM Hospitality’s extensive selection of unique lifestyle hotels in Bali, namely THE HAVEN SUITES Bali Berawa, THE HAVEN Bali Seminyak, FRii Bali Echo Beach and Fontana Hotel Bali, a PHM Collection. Participants of THE 1O1 Travel Sketch Bali International Edition are eligible for special discounted price at PHM Hospitality’s hotels as well as optional shuttle buses to ease Sketchers trip to the event venue. Fontana Hotel Bali, a PHM Collection will be the meeting point for the whole event and activities. To view locations and where to go, see this map to link the activities and hotels’ locations http://www.101travelsketch.com/maps-bali/. The link will also provide easy direct booking process http://www.101travelsketch.com/international/.